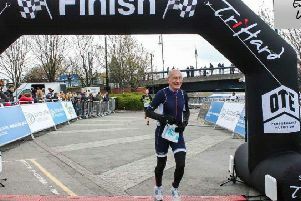 Skegness Coaster Martin Jessop took part in his fourth Retford Half Marathon, completing the course in 1:53.12. That was enough to claim 466th place from 972 finishers. “This was my fourth Retford half. It’s a really well-organised race - slightly undulating, but the fast downhill section at the end is something to look forward to,” Martin said. Sue Ingram represented the Coasters at the HooHaah 10k in Norfolk. She completed the multi-terrain course in 1:03.04. The course took runners around the picturesque area of Thetford Forest, including stretches of footpaths, woodland and meadows.